Rooney Talks Salary Cap and Signing Players: “We Will Have Work To Do"
Steelers President Art Rooney II covered a number of topics today about the offseason for the black and gold, with maybe the most interesting topic being that of what the Steelers are going to do with their free agents and those stars that will be free agents after next season. The Steelers have 20 unrestricted free agents, with the biggest on the list probably being that of left tackle Kelvin Beachum, who was injured and missed a good portion of 2016. The Steelers tried to re-sign the 26-year-old before the 2015 season but both sides could not reach an agreement on a contract, making it look even more that he may test free agency this offseason. Steve McLendon is another player that the Steelers will have to debate if they want to bring back or not. The nose tackle inked a three-year deal back in 2012, and this last season he had 14 tackles and one sack. Also on the list of UFA’s for the Steelers that the team have to make decisions on include OG Ramon Foster, WR Darrius Heyward-Bey, CB Antwon Blake, CB Brandon Boykin and FB Will Johnson. Per usual, making sure the Steelers stay within the salary cap and having money for players for the future is always the biggest task of the offseason, and Rooney knows it’s a task that has to be dealt with. While signing players who are free agents is challenging enough, there’s two more players whose deals are up after 2016 that will have to be dealt with – guard David DeCastro and running back Le’Veon Bell. Two players that are huge keys for the future for the Steelers, and two that the team needs to break the bank for as they look even past next season into the long term future. “We still feel like (Bell) is going to be a great player and hopefully the injury will be something he recovers from completely,” Rooney said. “And in terms of his future, we hope his future is here. Whether we address the contract situation now or later, it’s still something we have to evaluate. But irrespective of that, I think he’s somebody we would like to continue to have on the team for the long run. 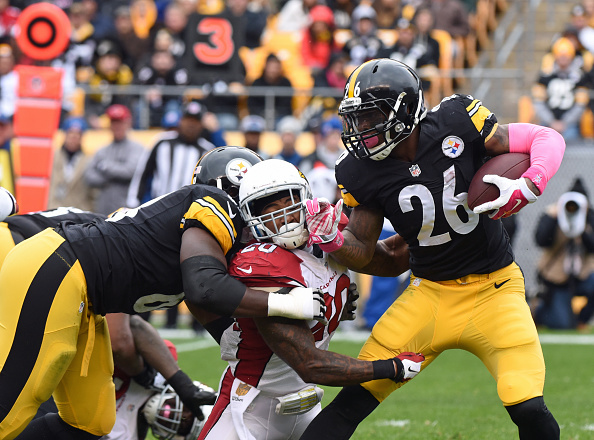 “I don’t think we’re sitting here waiting to see something from Le’Veon. I think we’ve seen enough,” added Rooney. “So, it really is going to come down to kind of how his contract situation fits in with all the others. Everyone wants the team to continue to keep their stars, and make sure that they are good enough to compete for another Super Bowl. For Rooney and the rest of the front office, it’s a puzzle that will take a lot of time to complete, but one that needs to be done to keep this team on task for years to come. Be the first to comment on "Rooney Talks Salary Cap and Signing Players: “We Will Have Work To Do”"